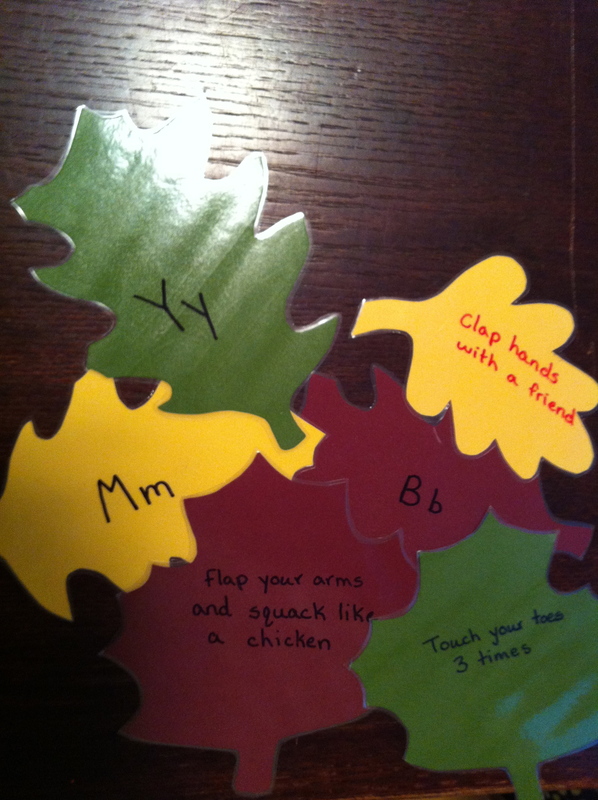 For this circle activity, I cut out 26 leaf shapes from cardstock and laminated them. On one side I put a letter of the alphabet and on the other side I put an action for the children to do. I will use this as a group movement activity, having one child come up and choose a letter and then everyone does the activity. Or I will use it as a dismissal from circle, where the child picks one and then does the action and then leaves to wash their hands for snack. This is a simple and fun activity that can be made for any theme.